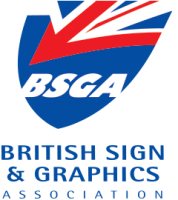 The Grand Départ marks the start of the annual cycling race and was this year awarded to the picturesque county of Yorkshire. 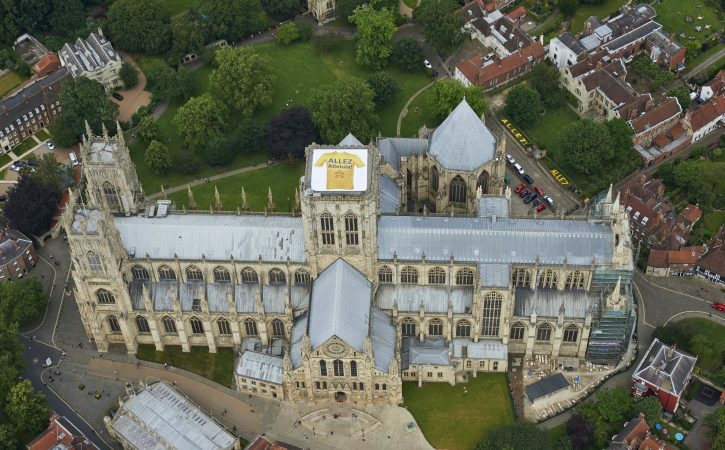 In an effort to welcome cyclists from around the world to the county, Harrison Signs joined forces with the team at the York Minster to create a giant yellow jersey—representing the colour the Tour’s lead cyclist wears during each stage of the race. 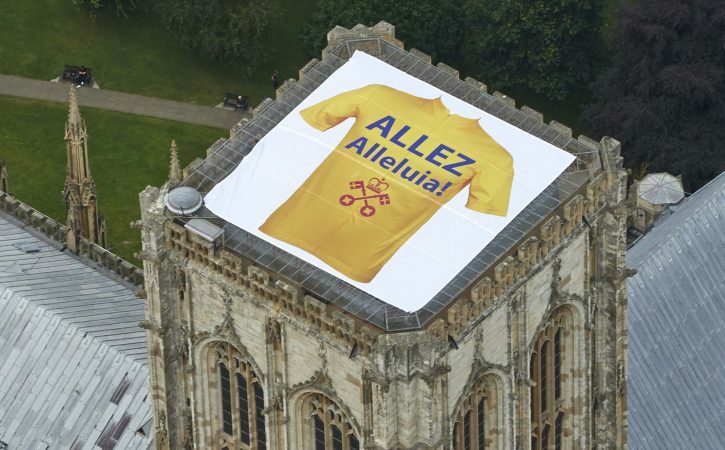 “As an existing customer of Harrisons Signs, we were approached by the York Minster two weeks prior to the Tour de France Grand Départ,” explains Peter Robinson sales account manager at Harrison Signs. Harrisons produced a massive 15 x 15mtr Mesh banner which was printed in 4 sections and heat-welded together to make up the huge image. Eyelets were used. 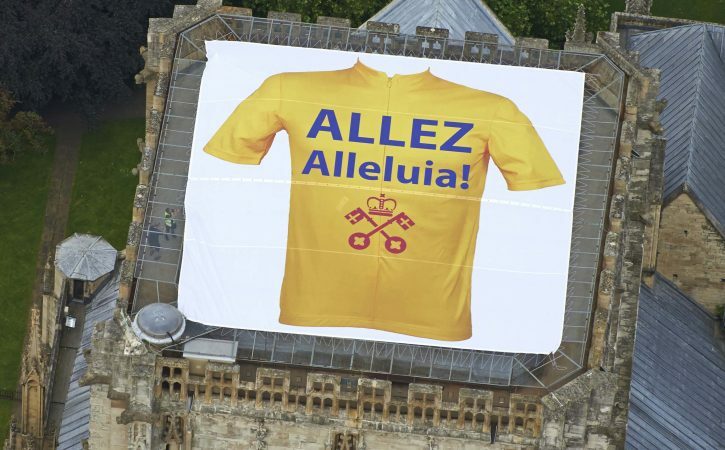 On the eve of the Tour, three men were sent up and down the Minster’s 275 spiral stairs to the top of the tower to install the banner. Bungee cord was used to secure the four sections of the banner to the sides of the steel viewing cage that surrounds the top of the tower.